Yes the Government Employee or Government Officer can be the member, founder, Trustee, Director of Non Profit Organisation /Non Governmental Organisation (NGO). There are many Government employees and officers are founders and members of NGOs. To know the reason for this query that how and why any Government Employee be the member of NGO, you must be clear with the meaning of NGO. 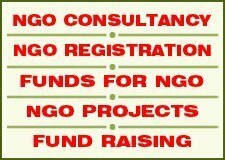 Just know and check here – What is NGO? 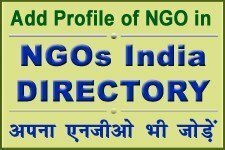 NGO is a group of person or organisation that works for welfare of society, social development, improvement of living status of persons of society, without any personal profit or personal benefit. What Government/ruling authority is for? For the similar purpose, and above the purpose to make policies and implement them according to welfare and development of all for the society on which the Government is authorised/capable to govern; more clearly that is for welfare of all in the particular jurisdiction and/or beyond that. So the persons associated with Government as Employee or representatives can work for social welfare, social development part and work to implement the Government policies through NGO or public efforts or to make new policies or to part to amend the policies more clearly for social welfare and social development of the members of society of the nation. Many work at their part in different platforms without being member of any organisation, many work in groups without any kind of registration but many work and can work to be a member of Non Profit Non Governmental Organisation as being a member. Many Government employees/officers form and register the organisation. They work as member of Non Profit Organisation (NGO). So the NGO is formed, working and use to work for the same purpose, that which Government is there. So it is clear fact that the Government employees can be members and organiser, they are working/ have been working /use to working for welfare and development of society and members of society in the nation and at international level according to applicable legal parameters without any profit or personal money gaining expectation and intention. Any Government employee, official or semi Government employee or public sector employee or public sector employee can be member but he/she/it can not take any salary or profit from the Non Governmental Organisation as he/ she/ it is associated with. Government employees can take transportation and other expenses from NGO for the social work he/she/it is working or their associates are working for social welfare purpose work. According Indian Constitution this is fundamental right of Indian citizens that no one can restrict to work any one to work as social work, without any salary or profit, whether he is civilian citizen or Government employee. Can any Employee or Director of Private Company be the member of NGO? The same answer at salary part. If the Private Company has any terms that the employee can not take salary from any other group or person or organisation that can be private, Government or Non Government, then they can be member of NGO and can take salary or consultancy charges from NGO. But without any salary or personal profit any employee or director can be the member/ founder of NGO. There is no restriction or provision or restriction to work for social work or social welfare work as member or as associate of any person belong as employee or associate with/ from any private or Government organisation and there can not be. The NGO must not be involved in any disputed legal and anti Government or Anti national policies, work or activity. Many organisations work as lobbying and advocacy pert to make changes in Government policies, to change policies, to implement policies to challenge policies. So the persons who are associated with Government as employee have to think that the activities must not be anti Government activities of that NGO that they are working as member or associate. Very clearly any law and anti social is not allowed by any Government authority. Privacy and secrecy part and at protocol part the concerned persons and employees have also think, analyze and decide what is correct according to their liabilities then they have to proceed further. You can check the following rules of Government in India as per CENTRAL CIVIL SERVICES (CONDUCT) RULES, 1964, Rule 15 (2). All the state Governments follow this rule. You can check in Hindi – क्या कोई सरकारी कर्मचारी या अधिकारी गैर सरकारी संगठन का सदस्य हो सकता है?